Posted on October 10, 2013 by Editor Posted in Hot Favorites, Lifestyle	. Smoking only brings ill health effects not only to the smoker but also to the people around inhaling the smoke. In case you do not know, smoking can destroy the lungs. The government of course, discourages smoking but it cannot totally tell all people to abandon the act. So, here in Singapore, the government permits smoking only to selected areas. If you are a smoker, it is imperative that you are aware of smoking bans so you will not be apprehended. Pubs – Pubs refer to bars that offer or serve foods. Bars – Bars refer to a place where alcoholic drinks can be bought or drunk. Sometimes bars serve foods. Discos – Discos refer to a place where people party and dance. Music is usually introduced by a DJ. Lounges – Lounges refer to a room where people can relax or wait. Lounges can serve foods and drinks. Nightclubs – Nightclubs refer to a place of entertainment which is usually open late at night. Nightclubs offer music, dancing and drinks. If smoking can’t be helped, there should be a designated smoking room within the outlet and/or outdoor smoking corners that are still part of the premises. If you are the owner, you should observe this strictly because you will be held reliable. 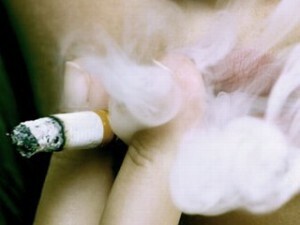 Last January 1, 2009, the smoking ban included children’s playground, exercise spots, markets, car parks and terminals. Posted on October 7, 2013 by Editor Posted in Lifestyle	. If you have a private car, you will not know the sentiments of commuters. It is better that you familiarize yourself with their situation because there will come a point in your life where you should take a taxi, bus or MRT. It is important that you know basic things about the life of commuters. Do not worry because commuting here in Singapore is easy breezy as long as you are serious. 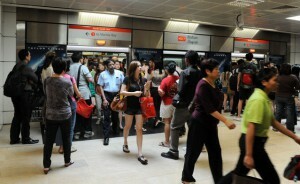 Getting around Singapore is affordable and efficient because of the transport system. You should know some things about the means of transportation here. It would not hurt you. So, what are the means of transportation (aside from your private car) here? If you want to be comfortable, you can call a taxi. There are many operators and drivers wandering around the city. You can find many at shopping centres and hotels. The initial flag down is SGD2.80 and there are different surcharges. So before boarding a taxi, it is better to ask the driver first. You can call Comfort/city cab, Premier Taxis, SMRT, Smart and Trans Cab for a start. MRT is convenient. There are many stations scattered all over the city. This passenger train network works from 5:30am till late midnight. You need an ez-link fare card to get pass the security; the ez-link can be purchased for SGD15. You should know that the ez-link is also valid if you ride the bus. Public buses work from 6:00am to late midnight daily. Payments can be cash or ez-link card. Rates vary depending on the type of bus. The more expensive one is the air conditioned buses which can cost from SGD0.90 to SGD1.80. The non air conditioned bus can cost from SGD0.80 to SGD1.50. Truthfully, it is better to commute because you will not worry about the parking space and more importantly the burning of fuel. You should do your best to create a difference. The burning of fuel causes the earth to change. Air pollution and global warming should be taken into consideration. If you commute, you are not burning enough fuel plus you are decreasing traffic.